“I’ve heard the Broccolis have caught Universe Fever and would love to explore other corners of the Bond franchise… simultaneously,” Sneider wrote in a June 23 post on Twitter. It was part of an exchange with another Twitter user. No other details were provided in the exchange. Previously, Eon developed a script featuring Jinx, the U.S. spy character played by Halle Berry in 2002’s Die Another Day. But nothing came of that would-be project. Also, during the 1989-1995 James Bond film hiatus, there was a James Bond Jr. cartoon show (where James Bond Jr. was Bond’s nephew). However, “Universe Fever” has become a thing since Marvel Studios began establishing its shared universe of characters beginning with 2008’s Iron Man. Today, that’s formally known as the Marvel Cinematic Universe. Warner Bros. has counted with the DC Extended Universe. Universal is using The Mummy, released earlier this month, to launch its Dark Universe of monsters. 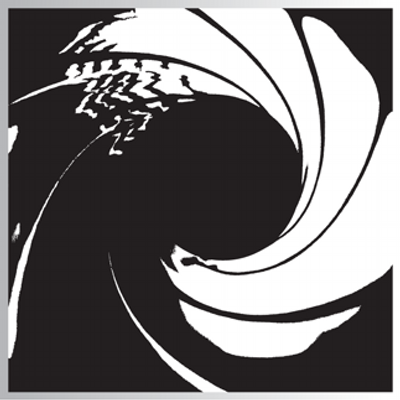 There have been 007-related continuation novels and comic books exploring young James Bond, Moneypenny and Felix Leiter. However, is Eon prepared to crank out a film 007 universe? The Bond pictures, in part because of financial issues at home studio Metro-Goldwyn-Mayer, have come out at irregular intervals. MGM needs other studios to release Bond movies and currently doesn’t have a partner for Bond 25. Eon has branched out into other films, but they tend to be small dramas such as The Silent Storm and Film Stars Don’t Die in Liverpool. Something to ponder for the future. Meanwhile, you can view Sneider’s tweet for yourself. I’ve heard the Broccolis have caught Universe Fever and would love to explore other corners of the Bond franchise… simultaneously. I really don’t want to see this happen. Look at every MCU film; each one is a teaser for a subsequent film. What I want to see is an occasional story arc over the course of two or more films. Remember the Star Trek Trilogy of II, III, and IV ? That would be excellent. By the time EON/MGM get such a project off the ground this universe-mania will likely be over. Not for Marvel/Disney (although that bubble will burst too), but we’re already seeing Universal’s ambitions thwarted with the disappointing domestic returns on The Mummy. EON would be better off bringing better quality consistency to the Bond series, which would hopefully bring in a couple more billion-plus grosses. Maybe then they can look at whether some kind of Bondverse is even viable.